Casey Family Programs, an Equal Opportunity Employer, is a national operating foundation that provides and improves – and ultimately prevents the need for – foster care. We value a diverse and culturally competent workplace. Job Summary: The Senior Director of Indian Child Welfare Consulting is a national expert providing leadership to Casey, Tribes, and States regarding child welfare systems for Indian Child Welfare programs. Works closely with Systems Improvement, Child and Family Services, Outcome Quality Improvement, and other Casey work units to ensure alignment and continuous quality improvement on practice and outcomes from ICWP. Leads operations within the Indian Child Welfare Programs (ICWP) work unit and oversees the work unit budget, ongoing projects, and the coordination with Casey Family Programs (CFP) Systems Improvement. Oversees the design, development, implementation and evaluation of tribal transformation, and identification and support of best Indian child welfare practices. Responsibilities include ensuring compliance with legal, financial and Casey’s strategic objectives and state plans; and ensuring that the Indian Child Welfare Consulting staff works positively and effectively with all staff internal to Casey aswell as external contacts. 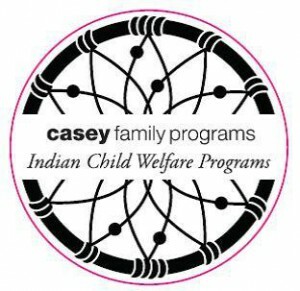 Directs the transformation and urban Indian center work efforts on behalf of the Casey. Identifies partners, communities, and resources for the successful transformation of the Casey field offices and development of a tribal child welfare system in each identified location. Develops plans for ongoing maintenance and improvement of systems once established. Identify, promote and disseminate practice models, methodologies and tools that may improve public child welfare and AI/AN child outcomes. Understand and articulate Casey’s 2020 goals to staff and all other audiences with a vested interest in the prevention and safe reduction of youth is foster care. This entry was posted in Jobs, News and tagged Casey Family Programs. Bookmark the permalink.